The great George Barris recently past away. He was a true original known throughout the world as the ‘original’ King of Kustomizers. His creations are legendary in the world of television and motion pictures including the likes of the original television series Batmobile, Munster Koach, Beverly Hillbillies, KITT from Nightrider and more! 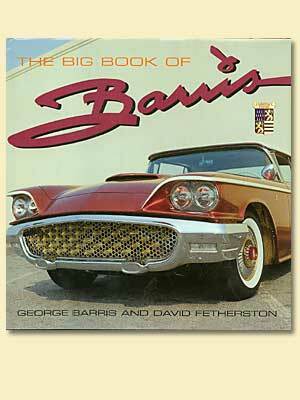 We have a few copies of “The Big Book of Barris” by David Fetherston and they are on SALE! This is a fantastic hardcover book with over 120 pages.